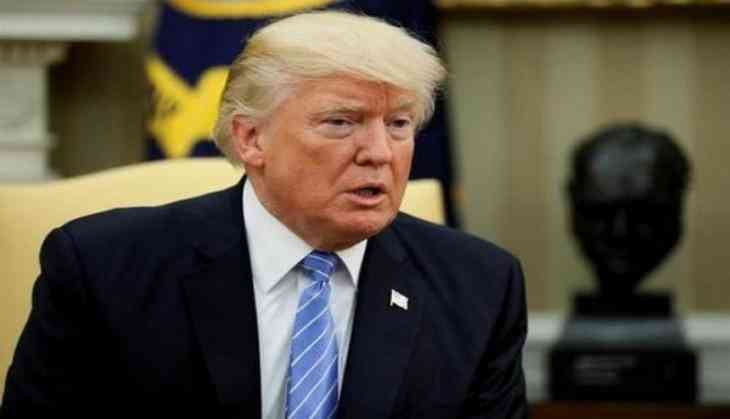 United States President Donald Trump on Monday condemned the shooting in Texas as an "act of evil" and called it "horrific" in his first public remarks since a gunman killed 26 people and injured many others. "This act of evil occurred as the victims and their families were in their place of sacred worship. We cannot put into words the pain and grief we all feel and we cannot begin to imagine the suffering of those who lost the ones they love," Trump said. Trump said his "thoughts and prayers" were with the victims and their families and added that it was in "times such as these" that "Americans do what they do best." "We pull together. We join hands, we lock arms and through the tears and through the sadness we stand strong, oh so strong," Trump said. Trump pledged his administration's "full support to the great state of Texas and all local authorities investigating this horrible crime." At least 26 people were killed in Sunday's church shooting in Sutherland Springs, Texas, with the deceased ranging in age from 5 to 72 years old. The shooter has been identified as Devin Patrick Kelley, 26, according to two law enforcement officers briefed on the situation, CNN reported. Many others were wounded, said Freeman Martin, a regional director with the Texas Department of Public Safety. After a brief chase, the law enforcement later found the suspect dead of a gunshot wound inside his vehicle. Martin said the authorities were not sure if the wound was self-inflicted or the result of the resident who fired on the suspect.